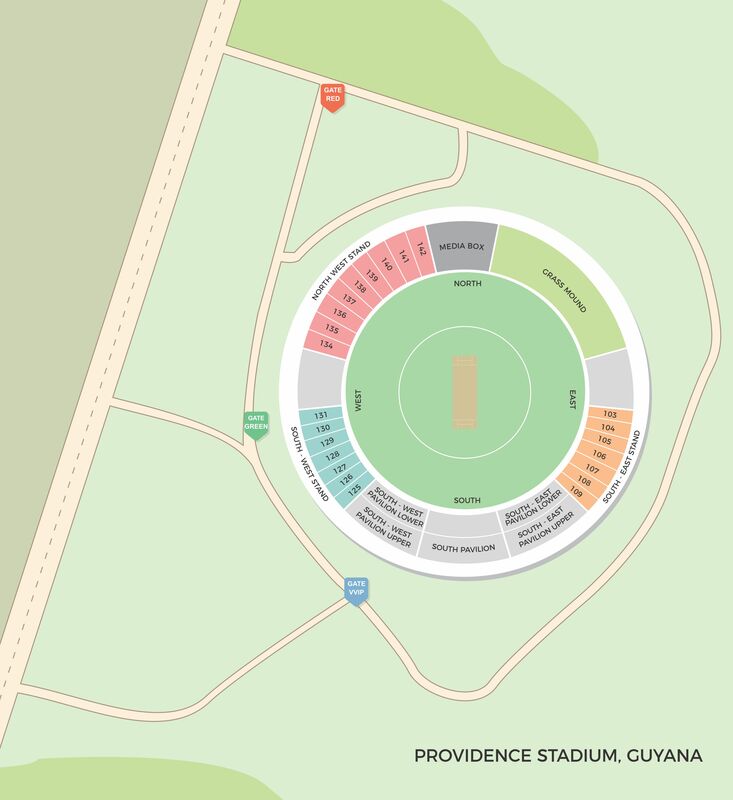 The Guyana National Stadium or Providence Stadium is a sports stadium in Guyana, replacing Bourda as the national stadium. The stadium was built specifically to host Super Eight matches in the 2007 Cricket World Cup held in March and April 2007.The stadium hosted six World Cup matches between March 28, 2007 and April 9, 2007, most notably the match between Sri Lanka and South Africa in which Sri Lankan fast bowler Lasith Malinga became the first bowler in international cricket history to take four wickets in four consecutive balls. Built primarily for cricket matches, the stadium can be converted into a multi-use facility.